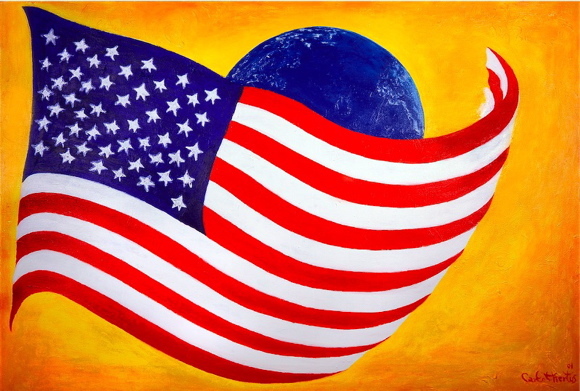 The Flag, What Freedom Means to Me Acrylic on Linen, 42" x 72" painted and filmed on September 9, 2001. Yes freedom, sure, but it goes beyond freedom. Throughout human history such freedom did not exist. The flag is an evolution of consciousness, it's how we evolved- we reasoned better, and it is these fundamentals that are destined to lead humanity. Thanks to the Forefathers for this flag that allows, the natural gift of imagination to manifest through freedom of expression. According to time in relation to humanity, the world is depending on the flag.